With smartphones and virtual voice assistants already in common usage, the next frontier is smart furniture — chairs, tables and even toilets in which certain features can be set off by a smartphone or voice. While talking showerheads and couches may seem futuristic, the trend is already in full swing. People bought more than 80 million smart home devices in 2016 while Zion Market Research predicts that the global smart home market will reach $53.45 billion by 2022. Smart furniture can range from the practical to the ridiculous. To help you learn what homebuyers will be looking for, Inman News has curated a list of the best, newest and, in some cases, weirdest smart furniture items you can get in 2019. Instead of digging around for a charger and a cable, you can just put your smartphone on the FurniQi Side Table ($199) to do the job. 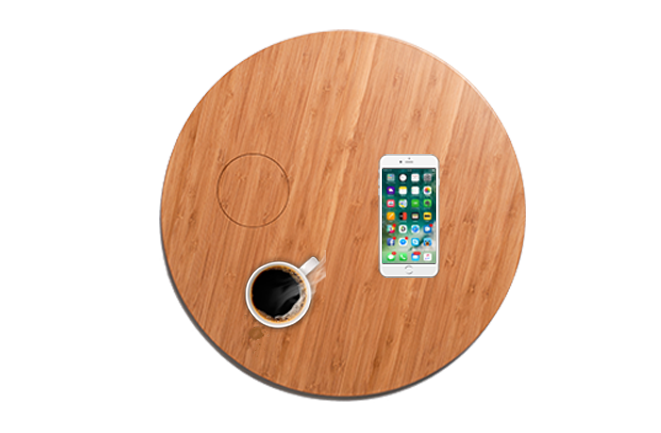 The bamboo table looks just like any other other piece of furniture — except for the small circle in the middle acts as a charging dock for all your devices. Developed by the trendy Carlo Ratti Associati design firm, the Lift-Bit is made up of many circular stools that can be programmed to make up different shapes (for example, a couch or a bed) from your phone. This sofa is truly for the tech-obsessed — the design is still in its prototype stage. Singing in your shower can take a whole new dimension with the U by Moen smart showerhead ($460). With it, you’ll be able to turn on the shower (and control the temperature) just by saying a word through your phone or favorite Alexa device. 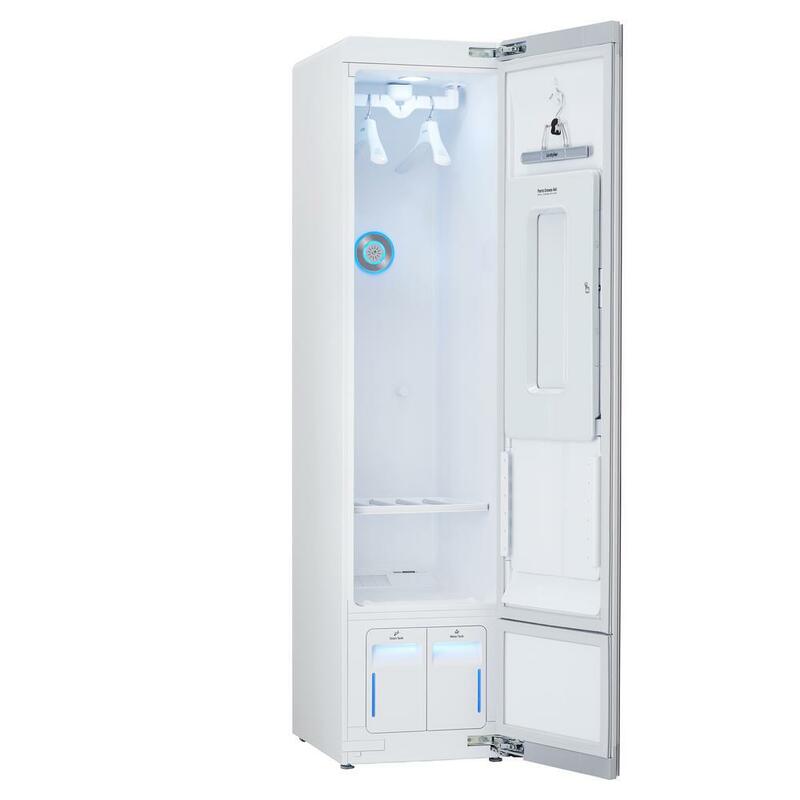 Over the last year, some new homes have started to come equipped with smart refrigerators – fridges that come with screens that track products, recipes and expiration dates digitally. 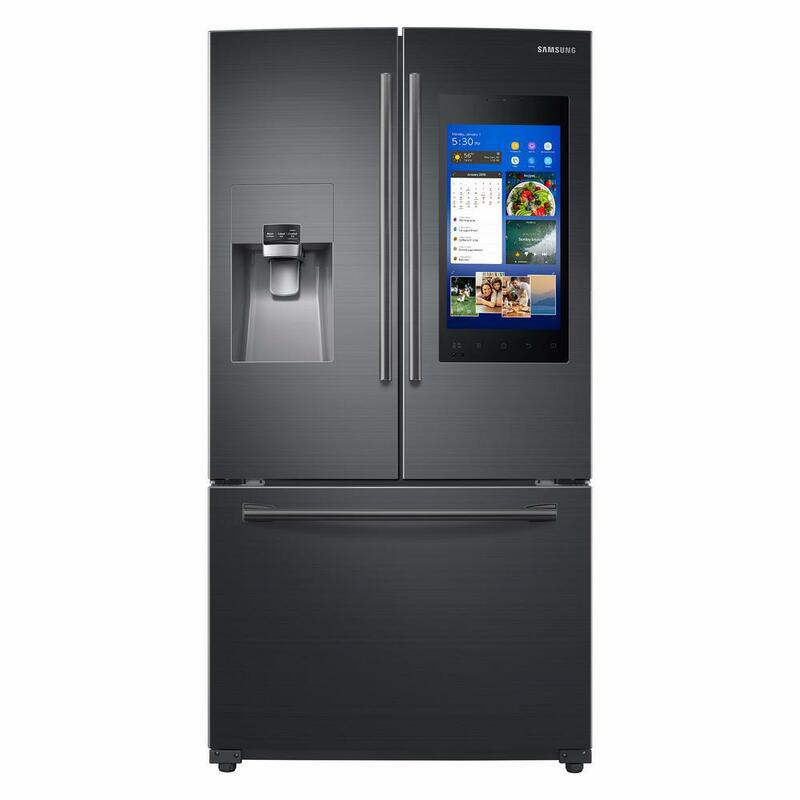 The Samsung Family Hub French Door Smart Refrigerator ($2,099) is a particularly high-tech option, with a TV that lets you do everything from monitoring the front door (think video doorbells) to watching videos on your fridge as you cook. If you’re a sartorialist, a smart wardrobe may be the way to go — LG has made one ($1098) with a Wi-Fi enabled touch screen that lets you select steam and aeration options for your clothes at the touch of a button. Already a feature in some hospitals and retirement communities, voice-activated mattresses have now officially entered the mainstream. 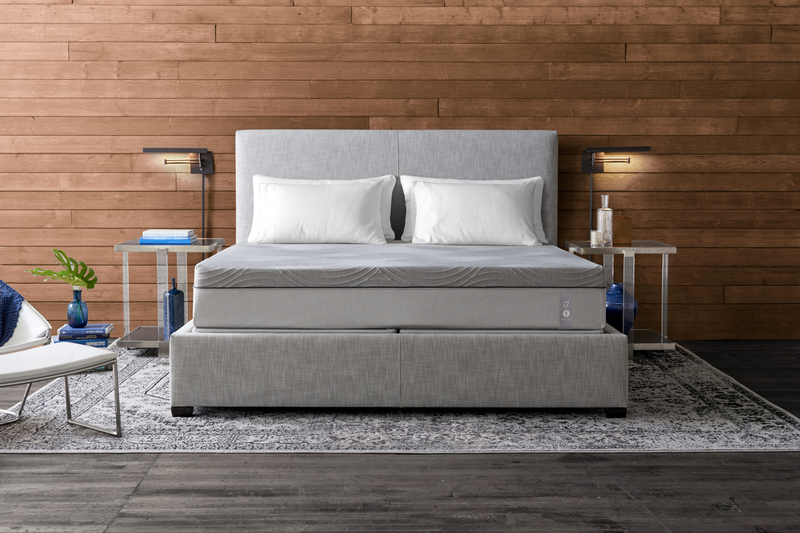 The Sleep Number smart bed ($3,299), can recline or reposition itself based on voice commands but also connects to your phone so that you can track how well you sleep from night to night. If spending several thousands on a bed seems unreasonable, the same company also produces smart pillows and even bedsheets. 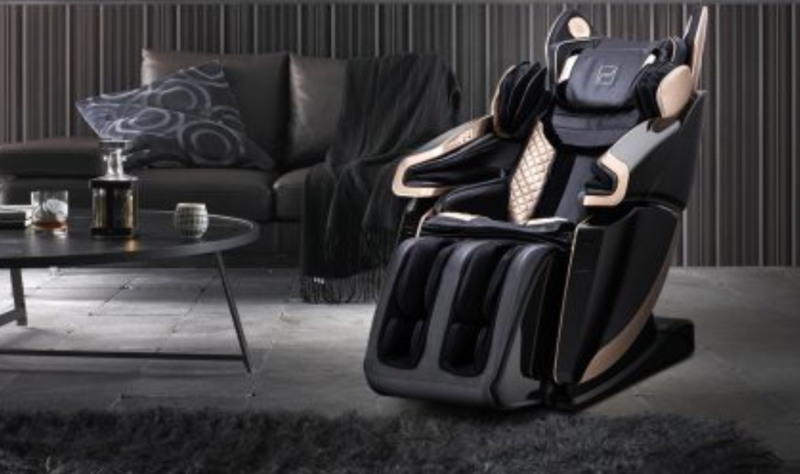 Chairs that recline from a remote or connect to one’s TV are far from new — but this Bodyfriend Rex-L Plus high-tech massage chair (when the design is finalized, it will cost around $15,000) looks like something that has come straight from a spaceship. 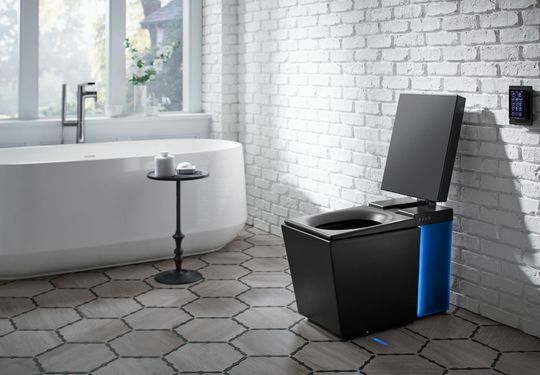 And finally, the most unconventional trend in smart home furniture — the Kohler toilet ($4,700) that can be flushed, cleaned and heated through your phone. This bathroom product may not be for everyone but it is sure to start up conversations at your next open house.